I stumbled upon this quote a few days ago and at the time I copied it into my notes without giving it much thought. It just hit me. Looking back at some of the choices I’ve made in my life, I can honestly say the decisions I’ve made were based on fear. I chose to do that because I was afraid of this, I chose this because I was afraid of that and so on. This quote speaks volumes to me. 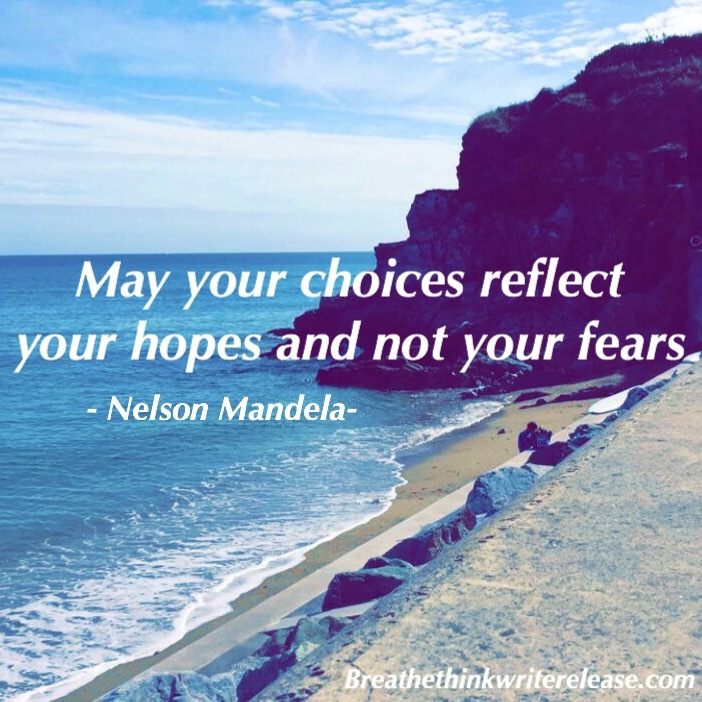 The choices we make should reflect our hopes not our fears. To live in fear is to not live. I personally think It’s a life filled with what ifs and regret. We may not be able to undo some of these choices as in some cases it may be too late but we can ensure any choices we make from here on out reflect our hopes as Mr Mandela states.